What is the Opportunity Cost of a Decision? Opportunity cost is one of the key concepts in the study of economicsEconomicsCFI's Economics Articles are designed as self-study guides to learn economics at your own pace. Browse hundreds of articles on economics and the most important concepts such as the business cycle, GDP formula, consumer surplus, economies of scale, economic value added, supply and demand, equilibrium, and more and is prevalent throughout various decision-making processes. Opportunity is the value of the next best alternative foregone. In simplified terms, the opportunity cost is the cost of what else could have been. Principles of management accountingFinancial Accounting TheoryFinancial Accounting Theory explains the "why" behind accounting - the reasons why transactions are reported in certain ways. This guide will help you understand the main principles behind Financial Accounting Theory or corporate finance Corporate Finance OverviewCorporate Finance involves the financial aspect of businesses wherein sources of funds are determined, existing assets invested, excess profits distributed. Corporate finance also includes the tools and analysis utilized to prioritize and distribute financial resources. The ultimate purpose of corporate finance is todictate that opportunity costs arise in the presence of a choice. If there appears to be only one option presented in the decision-making process, the default alternative is laissez-faire (to do nothing) with an associated cost of zero. 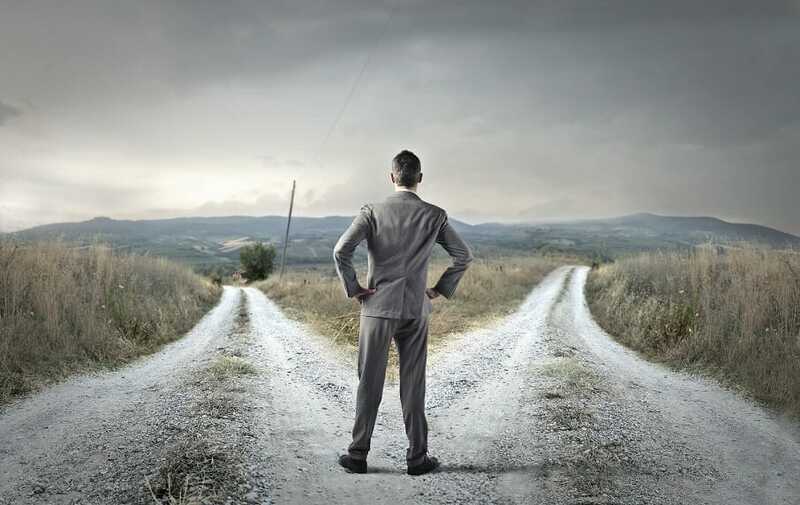 However, if a decision maker must choose between Decision A or B, the opportunity cost of Decision A is the net benefit of Decision B and vice versa. How is Opportunity Cost Calculated? In financial analysis, the opportunity cost is factored into the present when calculating Net Present Value formulaFormulasCFI's guides to Excel formulas and functions. Study our list of the most important Excel formulas and functions to become a world-class financial analyst. When presented with mutually exclusive options, the decision-making rule is to choose the project with the highest NPV. However, if the alternative project gives a single and immediate benefit, the opportunity costs can be added to the total costs incurred in C0. As a result, the decision rule then changes from choosing the project with the highest NPV into undertaking the project if NPV is greater than zero. Financial analysts use financial modelingWhat is Financial ModelingFinancial modeling is performed in Excel to forecast a company's financial performance. Overview of what is financial modeling, how & why to build a model. A 3 statement model links income statement, balance sheet, and cash flow statement. More advanced types of financial models are built for valuation, plannnig, and to evaluate the opportunity cost of alternative investments. By building a DCF modelDCF Model Training Free GuideA DCF model is a specific type of financial model used to value a business. DCF stands for Discounted Cash Flow, so the model is simply a forecast of a company’s unlevered free cash flow discounted back to today’s value. This free DCF model training guide will teach you the basics, step by step with examples and images in Excel, the analyst is able to compare different projects and assess which is most attractive. For example, assume a firm discovered oil in one of its lands. A land surveyor determines that the land can be sold at a price of $40 billion. A consultant determines that extracting the oil will generate an operating revenue of $80 billion in present value terms if the firm is willing to invest $30 billion today. The accounting profit would be to invest the $30 billion to receive $80 billion, hence leading to an accounting profit of $50 billion. However, the economic profit for choosing to extract will be $10 billion because the opportunity cost of not selling the land will be $40 billion. A firm may choose to sell a product in its current state or process further in hopes of generating additional revenue. For example, crude oil can be sold at $40.73 per barrel. Kerosene, a product of refining crude, would sell for $55.47 per kilolitre. While the price of kerosene is more attractive than crude, the firm must determine its profitability by considering the incremental costs required to refine crude oil into kerosene. In this example, the firm will be indifferent to selling its product in either raw or processed form. 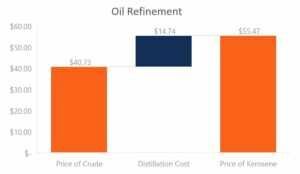 However, if the distillation cost is less than $14.74 per barrel, the firm will profit from selling the processed product. If not, it would be better to sell the product in its raw form. A sunk cost is a cost that has occurred and cannot be changed by present or future decisions. As such, it is important that this cost is ignored from the decision-making process. For instance, a firm has invested $30 billion to start its operations. However, a fall in demand for oil products has led to a foreseeable revenue of $50 billion. As such, the profit from this project will lead to a net value of $20 billion. Alternatively, the firm can still sell the land for $40 billion. The decision in this situation would be to continue production as the $50 billion in expected revenue is still greater than the $40 billion received from selling the land. The $30 billion initial investment has already been made and will not be altered in either choice.